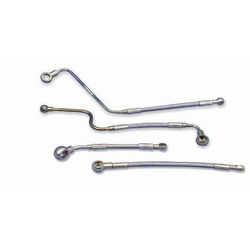 We are a leading Manufacturer of hydraulic tube fittings and teflon hose assemblies from Mumbai, India. 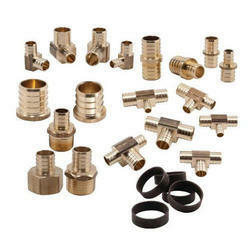 We offer a broad range of premium quality Hydraulic Tube Fittings to our valuable customers. Their optimum performance, resistance to corrosion, long functional life and flawless design make these elbows highly demanded in the market. With our wide distribution network, we deliver these elbows within the promised time frame at the customers’ end. Available in sizes: 1 / 2" to 16"
We are actively engaged into offering a quality range of Teflon Hose Assemblies to our patrons. The offered assemblies are manufactured using utmost quality Teflon procured from reliable vendors in the market to ensure quality and durability of the products. Moreover, the entire range is available with us in different sizes and shapes for fulfilling the diverse needs of our clients. Looking for Hydraulic Tube Fittings ?